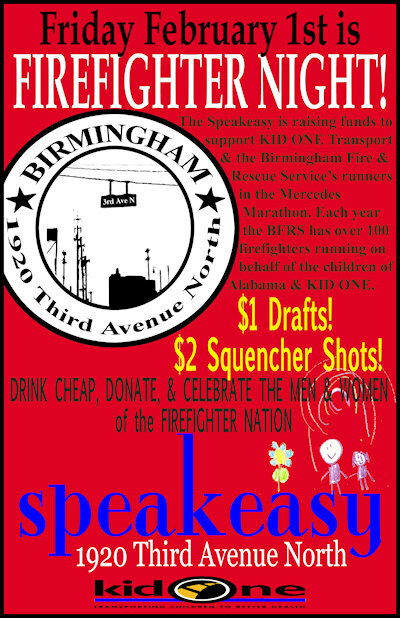 Friday, February 1, George and the great people at Speakeasy are having a Firefighter Night to benefit Kid One Transport and support the Birmingham Fire & Rescue Mercedes Marathon Runners. Each year, Birmingham Fire & Rescue has over 100 firefighters running on behalf of the children of Alabama and Kid One Transport. Birmingham station 1 C-shift will be there in force!